We headed down this past week. 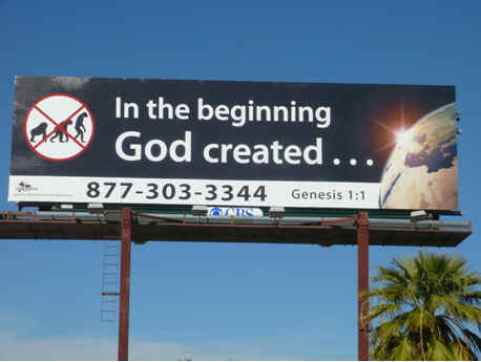 I don’t know if it’s a scientific fact, but it sure seems that the more south one drives down I-95, the more one sees billboards with Christian messages. 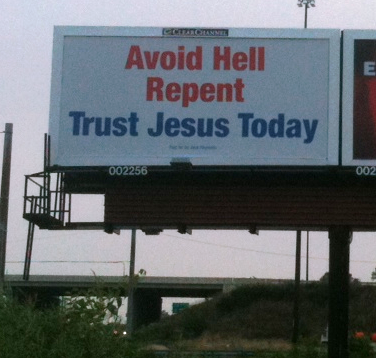 Has anyone ever become a Christian due to a billboard? If you have, I really want to meet you. It seems like a massive waste of time and money to me. My natural posture is that of skepticism, (I know…shocker) but I’ve been working to try to see the positive in things - especially things that I REALLY want to be skeptical about. ...But it felt fake. False. Empty. The feeling stayed with me as I drove, and the image of those signs was stuck in my head all throughout the week. This all amplified as I drove back north on Saturday night (seeing all the same billboards again). Maybe it was because I was trying to be positive, but exactly WHAT was bothering me about the signs wasn’t clear to me. I’ve seen them plenty of times before. I’ve made that 12 hour drive more than 20 times. I’ve driven all over the country and I’ve seen billboards like that everywhere I’ve been. So not only were the billboards bothering me, but the fact that they were bothering me bothered me. Double-whammy. This morning as I was having breakfast, I was typing out a typical “I-work-at-a-church” Easter facebook status. I was planning on writing “The Grave Was Empty…” and including some sweet-looking image or GIF. But as I typed, my phone autocorrected me. …and that was it. THAT was my problem with the billboards. THAT was my issue. I’m not sure that God caused the autocorrection, but I know that God was speaking to my heart through it. As I thought of every one of those signs that I saw, I couldn’t think of a single one that represented what I wanted to communicate to my nonchristian friends and family. There was no grace. There was little hope. It was hellfire. It was “turn-or-burn.” I didn’t get a sense of love or care when seeing those signs. And just to drive this home - I’m saying this as a CHRISTIAN… It seems to me that if I’m not sensing those things, then nonchristians - AKA the people the signs are actually trying to speak to - definitely don’t sense them. Why don’t people respond to billboards? And when the grace is empty, no one cares that the grave was empty.